The Strategic Marketing Action Plan (SMAP) provides a framework within which action plans for Visit Wales’s marketing activities are developed. It does not replace these action plans. The action plans will be consistent with the principles set out in SMAP, but will always reflect developing market conditions and the needs of our stakeholders in the Wales tourism industry. The SMAP also seeks to better define the marketing role of Visit Wales so that our partners and stakeholders are able to plan their own activity more effectively. 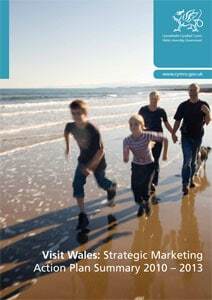 Our aim is to encourage tourism marketing for Wales that avoids duplication.